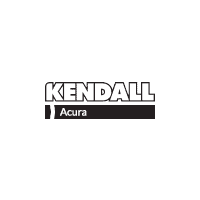 At Kendall Acura of Eugene, safety isn’t just something that we cross off of our list. Rather, it’s something we strive to offer to our customers every day, and we are always searching for new ways to improve and enhance our safety offering. Over the last year, we have had the pleasure of watching our vehicles earn special recognition for their exceptional safety features one by one. Most recently, our dealership in Eugene is celebrating the 2016 Acura RDX for achieving the highest possible rating of a 5-Star Overall Vehicle Score. The National Highway Traffic Safety Administration (NHTSA) awarded this honor as part of its New Car Assessment Program (NCAP). With this accomplishment, Acura stands as the only luxury automotive brand to offer a complete U.S. model line that has captured the U.S. government’s top safety rating. Just as exciting is the fact that this is the sixth time that the Acura brand has earned top safety ratings throughout its entire model line, and even more exciting is the fact that no other brand has reached this achievement as many times as Acura. The AcuraWatchTM suite of driver assistance technology, including the Lane Keeping Assist System, Cruise Control, the Collision Mitigation Braking System and Blind Spot Information. This technology is now available across the full Acura lineup. The next-generation Advanced Compatibility EngineeringTM body structure has seen improvements in structural design that enable the SUV to allocate crash energy evenly throughout the front portion of the vehicle in order to provide greater protection for drivers and passengers. Contact an Acura dealer to see this model for yourself or check out another Acura model that has helped the Acura brand attain its status as the only luxury automaker with a complete model line of top-rated safety.